The backstory on both Rey and Finn is a mystery that will continue to unravel in Star Wars: The Last Jedi. Though fans seem much more interested in finding out who Rey's parents are than Finn's true surname. It's still debatable whether or not Rey's parents will be directly singled out in this next Star Wars sequel. But one thing is for sure, her parentage is part of the driving plot and will be addressed at some point in the movie. How do we know for a fact? Because director Rain Johnson and star Daisy Ridley have promised as much. What they don't promise is a definite answer that will be served to fans on a silver platter. Perhaps we'll have to read between the lines, but the answer will be there. Even before The Force Awakens hit theaters, everyone was wondering if Rey was a Skywalker, a Solo, or some form of midi-chlorian manipulation. She was dropped off on the planet of Jakku with junk dealer Unkar Plutt, left to be a desert scavenger. Why would her parents, or guardian, do such a thing? Thus far, the speculation over her family tree has run rampant. Some believe her to be the daughter of Han and Leia, making her the sister to Kylo Ren. Others think she could be a descendant of Obi-Wan Kenobi. One of the wildest fan theories is that she's Anakin reincarnated. Or perhaps there is something more sinister to her creation. Who knows? The gang behind the upcoming sequel isn't telling. Not yet. While we learned that Rey is quite force sensitive in The Force Awakens, little else about her childhood came to light. That will all change with The Last Jedi. 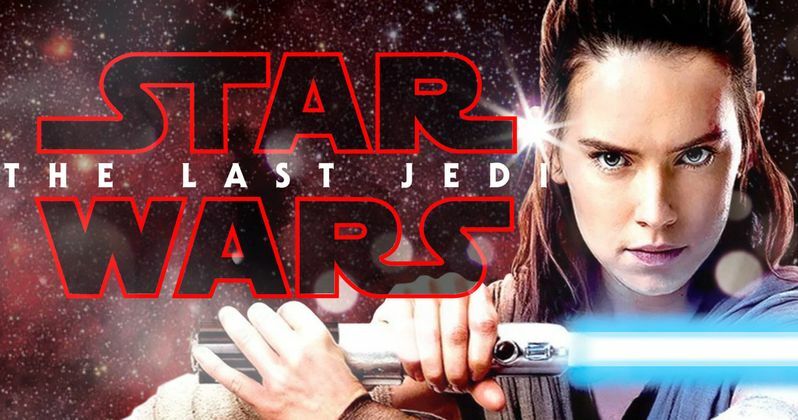 Though it should be noted, earlier during Star Wars Celebration, Rian Johnson confirmed that Luke Skywalker is the Last Jedi mentioned in the title. So it's possible that Rey won't get to finish her training under the master. Good Morning America caught up with Johnson, and asked him point blank if Rey's parents will be revealed in the movie. Well, perhaps they won't be named, but the subject is getting addressed, for sure. He says this. "It's something that is absolutely going to be addressed...The other part of it is there are lots of surprises in this movie and lots of twists and turns, and I really want people to experience those when they see the movie for the first time. How we address that and how you feel about it and what happens with that is one of them." Daisy Ridley also offered some cool intel about the possible unveiling of her parents, though she doesn't let the secret slip. She says this to MTV about the subject. "The one thing I have seen, cause I did some ADR last week, was a little clip of something I didn't know was going to happen in it and I was like, 'Oh wow, okay.' I think quite a few questions people have are answered in this." The Force Awakens set up a lot of questions fans want answered. But more than likely, The Last Jedi is going to have every one asking even more questions, with the biggest reveals set to come in Star Wars 9. However, it is clear that this Rey puzzle will fall into place throughout the course of Jedi, and fans should feel somewhat satisfied.